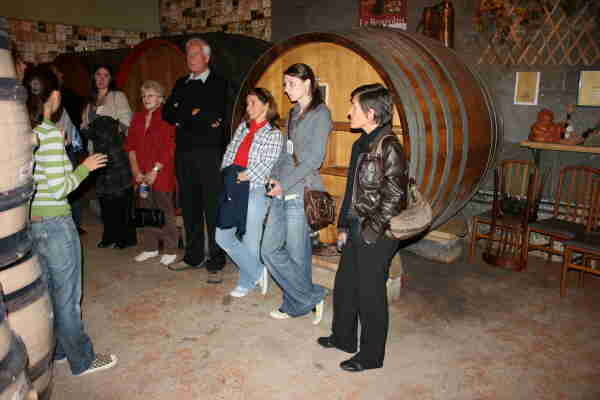 All of our scheduled tours are available for groups of two to six or eight people per booking and with a wide range of available dates and varied prices, we are confident that you will find your perfect tour. Call us- we would be delighted to discuss the numerous options with you! For single travellers, our Premium tours are ideal. Please contact us to request the single supplement for your preferred tour. In addition to the scheduled trips and tours that we organise, we also assist couples and small groups to plan independent trips, such as honeymoons, wedding anniversary tours, birthday celebrations or retirement trips. If you have been in the situation where you have made your own plans for your holiday but when you arrive you find that something is not what you expected, you will realise the importance of local knowledge and expertise and what a difference they can make to your trip. At Grape Escapes, we will not recommend anything without first having personally assessed it. We have performed full site inspections on many of the hotels in each region and have selected only the best ones so you can be certain that there will not be any nasty surprises when you arrive. Our expertise lies in creating stress-free and excellent value trips. If our off-the-shelf packages do not correspond entirely with your requirements, we can prepare bespoke itineraries from £800 per couple or £1,500 for a small group of four people. We will discuss your requirements with you and then arrange everything including booking your hotel, travel and visits, sending you maps, town and city plans, restaurant recommendations and an itinerary so that your trip runs smoothly. 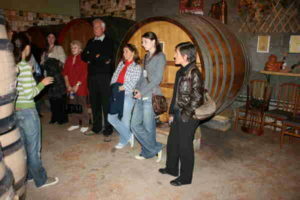 All of our wine tasting tours are designed with total flexibility in mind. You care free to choose how you wish to travel, what grade of accommodation you are looking, and how long you wish to stay etc. If you are looking for an unforgettable trip for your group but don’t want the stress of organising it, why not let us help? 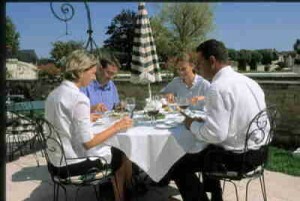 At Grape Escapes, we specialise in creating the ideal holiday to match your group’s particular requirements and budget. We would be thrilled to hear from you to discuss your group’s requirements and budget and provide you with an outline proposal without obligation. We can develop an itinerary to match any budget from as little as £250 to over £2,000 per person. For further information about the types of tours that we arrange for groups, please contact us to request a postal or electronic copy of our Group Trips brochure. We have organised birthday parties, Hen and Stag Weekends and trips for many other social groups. From wine clubs to rotary groups, from sports and social clubs to car owners clubs, we specialise in creating programmes to suit your requirements. From a weekend in Champagne, to a week in the vineyards of central France, we have the contacts to ensure that every member of your party has an enjoyable break. With Grape Escapes, you can be sure that we will arrange an interesting itinerary in pleasant surroundings, with welcoming wine makers, wonderful wines and top class meals. Grape Escapes have over five years experience in arranging corporate events in the premium wine regions and we are able to cater for all of your professional needs including conferences, incentives and prizes, team building, corporate hospitality, product launches and gifts. We have a reputation for providing excellent and memorable company events, and many of our clients return to us again and again. Please contact us on +44 (0) 1920 46 86 66 or e-mail info@grapeescapes.net to request a copy of our corporate brochure.